Texas is not the only region of the world to demand its independence. Nor does it have the best claim or most momentum. Scotland seems on the precipice of freedom as its national referendum approaches. Chechnya’s struggle for national autonomy literally burst back into the news this spring on a note of horrific violence. In Tibet, martyrs continue to loose their lives protesting the Chinese regime. Some people in Quebec are still shouting angry slogans in French. All across the globe, long-oppressed peoples are clamoring for independence in movements fueled by a renewed and flaming nationalism. So naturally, this past summer, I decided it was time to join one. September 11 is remembered as a day of tragedy not only in New York, but in Barcelona too. On that date in 1714, the army of the Bourbon King Philip V of Spain captured the besieged capital of Catalonia. With that came the end of Catalonia’s 900 years of independence and the beginning of a three-century long period of oppression under the yolk of Castile (the region of Spain around Madrid that asserts its control over the rest of the Iberian peninsula, excluding Portugal). While the rest of Castile’s conquests, from Mexico and Peru to Cuba and the Philippines, have gradually broken free of Madrid’s fetters, Catalonia has had the disadvantage of being too close to shake the controlling government of Spain off their shoulders. 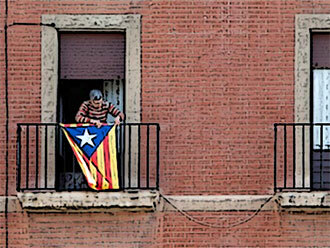 One Response to This column demands: Independència!